Be gracious to me, O God, for man tramples on me; all day long an attacker oppresses me; 2 my enemies trample on me all day long, for many attack me proudly. 3 When I am afraid, I put my trust in you. 4 In God, whose word I praise, in God I trust; I shall not be afraid. What can flesh do to me? 5 All day long they injure my cause; all their thoughts are against me for evil. 6 They stir up strife, they lurk; they watch my steps, as they have waited for my life. 7 For their crime will they escape? In wrath cast down the peoples, O God! If you are a Christian, that is to say, if you know Jesus Christ by being born again through faith in the gospel of Christ, then know this: God is for you. Though every evil human being on this planet be against you, God Almighty is for you. This means that He sees it all. He hears your every cry to Him. He knows every detail of the wicked enemy who works to destroy you. And He is keeping track of it. Every detail. Every syllable. Every lying glance and every conspiring thought. He has, as the Psalmist says, kept count of your tossings and put your tears in a bottle. 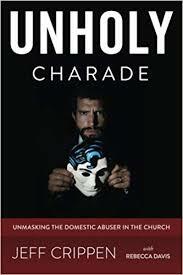 In this present day, there are many, many abuse victims whom we just cannot help. I mean, we cannot go get them, whisk them away, set them up in a new house and provide for them in a safe, guarded place. We all wish we could. But we cannot. Sometimes perhaps, but most of the time, no. Some will get completely free. Some will escape but still have to be taunted by the wicked one. And some never escape. Some, as grievous as it is to say it, perish. They are killed. But this is not the end. Oh no. God still has the evidence in His heavenly chamber. He has the records. And on that Great Day to come, He will bring it all out. Perfect, eternal justice will be effected then. What can man do to me? Kill my body, but that’s about it. Torment me for some years, but not forever. That Day is rushing at us at terrific speed. Christ is going to be revealed, and then the play days of the wicked will be over forever. Victims and survivors – be encouraged. What can man do to you? Abusers, tremble, because you are going to find out what God can do to you.